In this long, lingering autumn of sunny skies and still air, lots of adventurous folks have been out exploring the state. The MaryJane Sisters at the International Hotel, Austin. After a leisurely breakfast at Austin’s International Hotel and browsing in The Main Street Shops the MaryJane Sisters said goodbye to Austin and headed out on the Hwy 50 trail. We stopped in Eureka for gas and a visit to Eureka’s oldest building, the Tannehill Brothers Log Cabin. 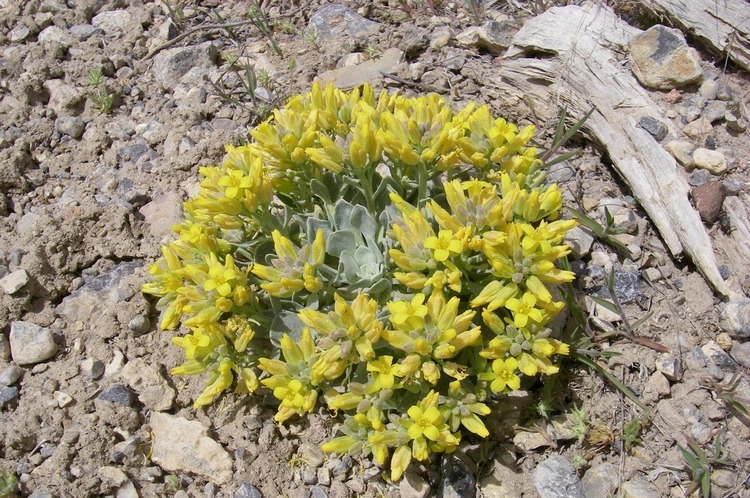 It is located on the edge of town at Nevada Historical Marker 222. After a brief stop to explore in and around this historical home imagining what it would have been like living in this one-room house in 1864, and realizing how excessive we are in the 21st century, we continued on to Ely. We pulled off the road for a photo op at Robinson Summit. A concerned NHP stopped to see if everything was all right. We assured the patrolman we were OK and that we had just stopped to take a picture of a road sign. We cruised on through Robinson Pass and soon came upon the Nevada Mining Company’s Robinson Operation. 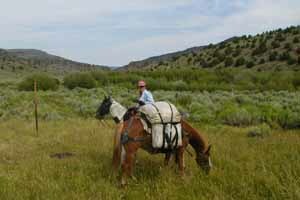 A new “Adventures on the Edge” brochure is available from the Elko Convention & Visitors Authority. 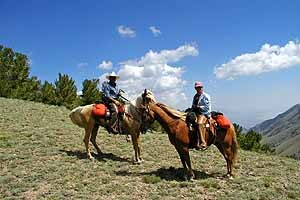 It contains detailed maps and information about the many adventure opportunities available in and around Elko: hiking, fishing, skiing, snowmobiling, biking, scenic drives and more. Stop by the Elko CVA office at the Convention Center on the east side of town for your free copy, or request one by e-mail (don’t forget to include your postal address). We became curious about the copper mining town of Ruth, only two miles from the sign, and went to investigate. The tiny town was quiet and the homes were small and charming. We noticed a lot of the houses had a chain link fence around them, and wondered why that was. We dropped in on the New Ruth Club for some dust cutter and friendly conversation. The barkeep was easygoing and happy to oblige us. We learned that the fencing around the homes was to keep cattle and coyotes out of the yards. The Robinson Copper Mine had recently shut down, explaining the quietness of the town. A couple taking the load off their feet and having a refreshing beverage suggested we visit Cave Lake State Recreation Area on the outskirts of Ely and take Success Loop scenic drive. So, feeling re-energized and with a mission we said goodbye to our new friends at the New Ruth Club. Last Saturday Pappy and I got out early. We headed north. We lettered a truck at the Florida Canyon mine. Then we did 3 trucks in Winnemucca. We loaded up on beer and got off I-80 at Golconda. We went to Midas (both bars were closed) It was 4:20. We got into Elko 7:30. After hitting a couple bars we enjoyed a great Basque meal at the Nevadan. Up early on Sunday. I’ve been admiring a sign painter’s work up in the Elko area for about 10 years. Although I’ve spoken with him on the phone several times, I had never met him. years old and quite a character. He moved to Elko 15 years ago from San Diego. He talks to his wife and kids (and grandkids) on the phone. He hasn’t been home in 15 years. He painted me a sign. I love it. Monday morning found us heading east, and then over the Rubies via Secret Pass as the sun peeked up and down over the mountains. 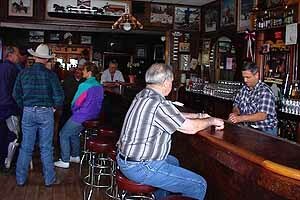 South into Ely for steak and eggs at the Hotel Nevada. It was fantastic. On South to Currant where we checked out a billboard we’re redoing for Tonopah. We went through Duckwater and northwest to Eureka. We checked out the Hickison petroglyphs on our way to Austin. From there we took to the dirt and popped a beer and went down Reese River Valley. 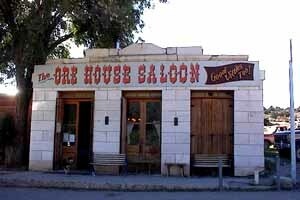 The Ore House Saloon in Ione was closed. 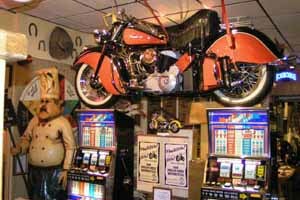 We didn’t have much luck bar hopping. Closely monitoring the map we found our way through Finger Rock Wash, and to Gabbs Valley. On the west side of the valley we headed over the hills and down Ryan Canyon, back into Hawthorne. Whew. “It’s beautiful country but the wrong time of year — it was 105 degrees in Fallon on the way there and it didn’t cool off until we got up to about 7000 feet. We found the source of the Reese River — it comes out of the ground about 6 inches wide — we met the ‘Wild Horse Packer’ who operates in the Toiyabes, and saw a lot of nice country. The only blemish was a a visit by a group of California motorcyclists who claimed to be lost (15 miles inside the Wilderness boundary), but we turned them around and pointed them west. Don’t know where or how they got out, but they did a fair amount of damage to the river bed as they left. pressure from out of state off roaders. In some cases they run right over the wilderness signs. You’d think Nevada has enough great roads to use without having to encroach on the few wilderness areas! 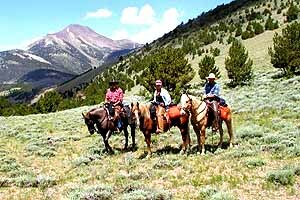 When we met the ‘Wild Horse’ Packer it was near the top of the pass separating the Reese River drainage on the west and the Twin River drainage on the east. The packer was heading into his camp on the upper Reese as he had lost all of his tents in last winter’s October storms and was restocking his high camp. Anyway, he came down the trail ON FOOT leading a string of 6 or 7 wild horses, none of which were tied to anything, just following along like a line of little ducklings. We stopped to exchange a few pleasantries and he mentioned that we might find one more of his horses further up the trail, but this one was hobbled as he had a tendency to run away. Sure enough another mile or so up the trail at the top of the pass here was the wild horse, hobbled in front and, though free to move, stuck to the ground, frozen with indecision as to which way to go. His herd had headed west and he knew he came from the east, but he was as stuck as could be. We rode right on past him, took in the view, had some lunch and rode back past him. The whole time he just stood there looking like a lost kid. Later the packer passed us on horseback, heading back to get his horse. I guess he probably found him standing where we did, stuck between the Big Smoky and the Reese River Valleys not knowing which way to go. Only in Nevada! The Las Vegas Monorail has extended its hours of service: Monday through Thursday, 7 am to 2 am; Friday through Sunday, 7 am to 3 am. Not all of our travels involve the vastness and majesty of the Nevada interior. We recently visited Las Vegas with two teenagers and spent an enjoyable afternoon exploring the wonders of the Strip resorts. 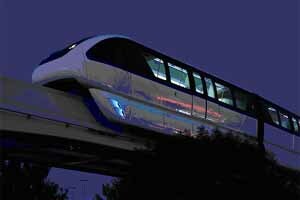 Their favorite experience: riding the Las Vegas Monorail.